Fortier, Sonia Lea (Beck) Age 69, of Golden Valley, passed away peacefully after a brief struggle with cancer on May 14, 2018. Preceded in death by her parents, Alan and Josephine Beck. Survived by siblings, Karin Van Dyke and Alan (Karen) Beck; nephew, Alex Van Dyke; nieces, Stephanie Van Dyke and Allison Beck; many loving relatives and good friends. 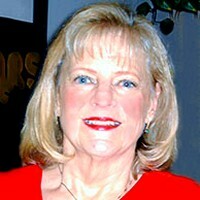 Memorial service 7 pm on Monday, May 21st at Cremation Society of MN, 7110 France Ave. S., Edina with visitation at 6 pm. Memorials preferred to Can Do Canines, 9440 Science Center Drive, New Hope, MN 55428.